The way Storages function these days are much changed thanks to invention of many technologies to support what they do best. Online rentals and payments have by far been the best of discoveries that’s saved tons of time for an operator and created much convenience for a tenant. Not to mention the Tenant portal that’s in the market these days, where tenants have access to their rental histories, leases, payment records, invoices and the option to pay online from anywhere, anytime. 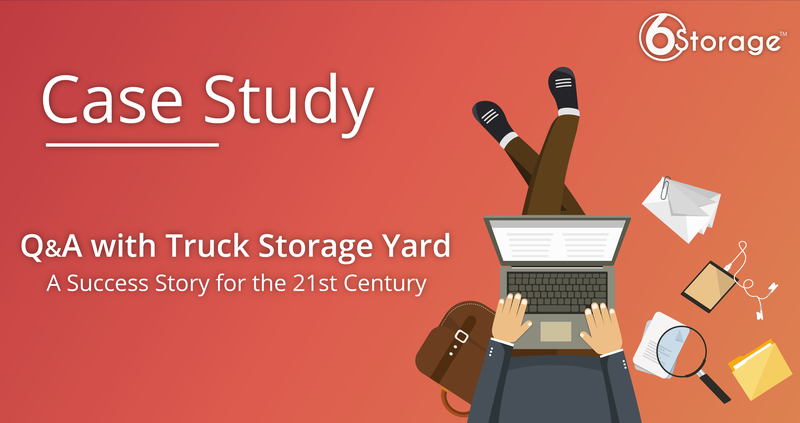 So, it’s really no surprise self-storage operators are in on the action – which brings us to Susan, of Arizona, for a quick peek into her successful transition from a pen and paper to an automated cloud based self-storage management software, Truck Storage Yard. Truck Storage Yard is a fully automated, offering various kind of parking spaces for your Commercial Vehicle, Truck & Trailer, Container, Heavy Equipment and/or fleets.6Storage self-storage management software integrated completely with their website and daily operations along with their PTI Gate. Truck Storage Yard may just be the perfect combination for an unmanned Storage solution. 6Storage has taken Truck Storage Yard to a level with investors who are interested in unmanned storage solutions for the trucking industry, according to Susan. 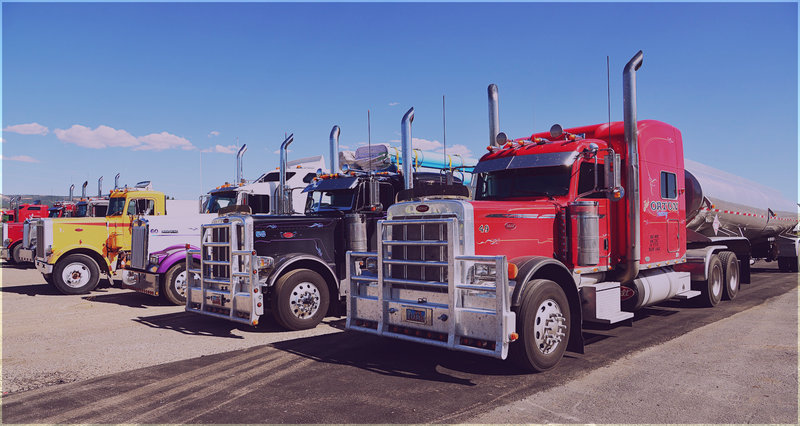 At Truck Storage Yard, tenants can access the facility, rent, and reserve spaces 24/7 using the online rental option through the website. Completely unmanned facilities incorporate a great deal of technology and that’s exactly what 6storage has offered by integrating with their website for online rentals and payments; integrated with the industries best merchant to securely process credit card payments with their gates in order to control and monitor them from anywhere. We caught up with owner, Susan, in June 2018 to find out more about her self-storage business and what technologies help make it so successful to handle operations remotely. Note: Susan is based in Arizona and manages the property in California, that’s 800 miles away. What made you set up a completely automated self-storage facility? The shortage of commercial vehicle parking sparked our interest to convert a piece of land we purchased a couple years prior in California. For this truck storage yard to become successful, we realized an automated system was the only way to allow the entire process to meet the needs of potential tenants and peak the interest of investors. About 3 years ago, I found out about 6Storage and their Cloud based solution, and I thought it was the only company, among the many we reached to, who had a promising product to solve our challenges as it relates to software integration for an entirely automated business. Are any staff at the facility? Originally, yes. Prior to knowing about 6Storage, we set up a manual system with on-site property supervisors. We kept them onboard during implementation as a contingency plan to smooth out unforeseen issues. We also had to “train” truckers to use their mobile devices to Move-In. The Move-In process literally takes only a few minutes to do and allows them to pay online…all without the assistance of human resources. One year later in getting our game on and realizing 6Storage was what we needed, the facility is fully automated, all day, every day of the year. Why did you choose 6Storage for your management software? I wanted the best software to manage it as well as the best technology to run it. 6Storage was recommended to me by one of their clients who had been using their software with great success. That client shared with us how it has grown his self-storage business and that their customer service is unbeatable. I personally had the opportunity to meet the founder in person at the expo in Las Vegas. And of course, it integrates completely with the Gate I have, so it was a no-brainer. The company was available 24/7 to education us on going forward with the integration of the software. There was no reason not to give it a try - they made us feel comfortable that they would support us into the transition the entire way and they did. How does 6Storage software work with your Website and the Gates? 6Storage is fully integrated with our site and the gate. The software notifies us via email exactly when a client rents a space and or makes a payment. 6Storage offers a feature to send out reminder mails as many days in advance of the due date to tenants. 6Storage facilitates all of this as well as offers reports of all encompassing business reports a company needs to better assess how their company’s accounting. I’ll give you an example. I am geographically far away from our storage yard to be monitoring rentals at the site. If a truck arrives at my facility, they read our signage which provides our website address : http://truckstorageyard.com/. 6Storage makes this so easy for us and for our prospective tenants that our rentals are up exponentially and we are way ahead of the technology and simplicity of moving in tenants versus our neighboring competitors. They can also set up auto-bill online once they’ve set up an account. It’s completely seamless. Do you use digital signature capture? Yes…a valuable feature offered by 6Storage and a huge convenience for our clients. Leases are created by our prospective tenants from many states as well as by the companies they drive for. The leases are automatically generated once the content is inserted; the company signs using the digital signature feature provided; the electronically signed lease is automatically emailed back to us. The unit is then officially and legally rented. It’s very easy. How do you communicate with your tenants? Mostly with emails, and sometimes with a text message or occasionally a phone call. It depends on our clients’ communication habits and what makes them comfortable to remain our client. 6Storage allows all forms of communications. When it comes to managing the day-to-day, it’s all 6Storage. 6Storage, integrated with SendGrid, automates all the past dues and could send out other rental reminders, based on how you wish to set up the system. Basically, the software guides us what to do and when. What are the biggest benefits of using 6Storage in this fully automated environment? Without 6Storage and all the integrations, managing our storage yard would be a nightmare. Online payments including autopay, pre-due date invoicing, due-date reminders, instant notifications of all activity including who enters/exits the yard and at what times has been invaluable. I have 24/7 access via computer and mobile device which give me comfort our yard is running smoothly in real-time which retains tenancy. I am an entrepreneur running two other businesses which includes social media marketing for small business and individuals plus involvement with an international business. Without 6Storage software, I would not humanly be capable of handling the daily relations with Truck Storage Yard plus it allows me the time to maintain my other interests. A Question to 6Storage : What’s next for Truck Storage Yard? Thanks for your time, Susan, and good luck in your next endeavour. Thank you for persevering in educating us through the transition! Your patience is admirable. Truck Storage Yard is located at 3310 Beachwood Drive in Merced, CA, about a few minutes from several major freeways including HWY 99. Fully automated Boat/RV/ Truck Storages & Parking Spaces facilities are on the rise. Why? Like all unmanned retail, it’s convenient, cost-effective, easy to use and highly accessible. Advances in technology will only pave the way for more options to help us function faster and better. Only one thing is for certain, automation in self-storage is here to stay.